The world’s best surfers have already started to descend on Torquay for the running of the longest running surfing contest in the world. Once again anticipation will be high that Bells might turn it on and produce 20 foot plus surf as it did in 1965 and 1981. This year will be special as longtime sponsor Rip Curl will also be celebrating their 50th birthday. Rip Curl first sponsored the event in 1973 making it one of the first professional surfing events in the world. Rip Curl surfers have always surfed well at the event and this year brother/sister combo Owen and Tyler Wright will be keen to win their events and ring that big old Bell in the carpark. The Rip Curl pro is also going to feel a bit weird with Mick Fanning not competing in the event for the first time in almost two decades. Fanning has won Bells three times and almost won the event last year making the finals in his last year on the World Tour. 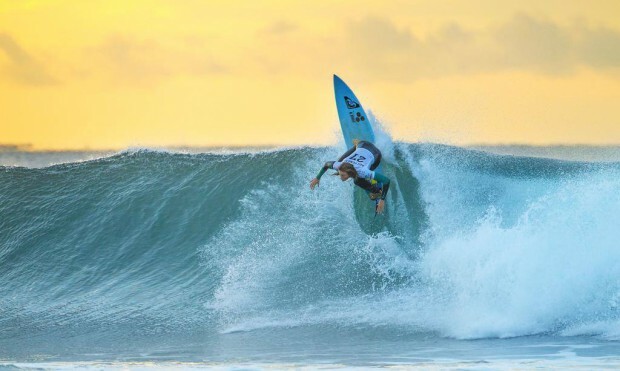 Having retired, it will be a whole new ballgame for up and coming Aussie surfers who face the Brazilians who have dominated world surfing for the last few years. There will be a lot of anticipation whether 11 times World Surfing Champion Kelly Slater will make an appearance at Bells. Kelly missed the event last year due to a foot injury so it would be fantastic to once again see the little master paddle out at Bells and compete on the biggest surf stage in the world. The Women’s Event has just as much interest. Aussie surfer Sally Fitzgibbons has won twice at Bells and will be keen to add to the trophy cabinet. Stephanie Gilmore has won Bells four times and will be keen to get another win on the board and aim for a record eighth world women’s surfing title. It’s going to be an action-packed couple of weeks. If the surf is great head down to Rip Curl Pro at Bells Beach and check out all the action (and watch out for wildlife on the roads… plenty of big roo’s on the roads during Easter). If the surf is terrible head to the local golf courses where you might find a few of the pro surfers whacking little white balls around the course in anger. Either way, it’s always fun when the pro surfers hit town!